The buzz is that Google Glass will transform medicine. But unless it’s carefully vetted it could be a disaster for patients, clinicians and hospitals. Until the FDA or research confirms its safety, Google Glass is banned from my clinic as a privacy and medical practice hazard. 1. Privacy violations. 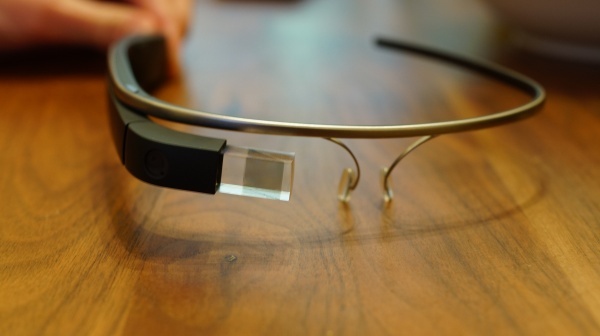 Google Glass make it extremely easy to take pictures or video of someone without permission. Congress has already raised concerns about Google’s unwillingness to ensure privacy protection for non-users in the general public. The bar should be higher in medicine than the general public. The venture capital crew thinks it’s great to let doctors wear it into the operating room. That should require a patient release at a minimum, but how do patients know whether they’re being recorded or not? 2. Hackable. Even if used responsibly by clinicians, that doesn’t mean patients and medical practices aren’t at risk of privacy violations and abuse. Computers can be hacked; remote access software can allow someone to film/photograph without the users’ knowledge. This kind of violation recently happened to Miss Teen America, resulting in attempted extortion for photos taken of her in her bedroom. A recent report confirms security flaws already make Glass hackable. Whether I wear my über-geek lenses to review medical records or examine patients, my medical practice could be at risk of extortion for possible privacy breaches. 3. Safety concerns with multitasking. Privacy concerns aside, the promise of be able to do more in medicine doesn’t mean we do it better. There have been recent concerns about “distracted doctors” with too much technology to focus on the task at hand. To make it worse, doctors may think multitasking improves performance when it actually worsens it. Some of the decreased performance may lessen with experience, but that means potential distractions like Google Glass may require some formal training before routine use in clinic. 4. Google’s And medicine’s goals aren’t aligned. “Don’t be evil” sounds like it might fit with medicine. But increasingly Google seems to apply this stated credo to its customers rather than itself. Despite Larry’ Page’s denial, it appears Google knew and received payment to enable the NSA’s PRISM program. The company also recently admitted that Gmail users shouldn’t expect privacy from internal surveillance. The company is now trying to reveal what the U.S. government required for access, but transparency hasn’t been Google’s strong suit. Responsiveness to its customers has been a longstanding issue. Historically customer service has been automated, you couldn’t get a human being to discuss technical problems. It has improved, but Chris Boyer recently outlined problems with Google Maps for patients trying to find doctor offices or hospitals. If problems come up with Glass in medical care, they need to be identified and addressed quickly. I’m just not sure that Google is interested or able to adapt this device effectively to patient care. Google Glass may have potential, but for now I think the risks outweigh the benefits. My sense is that the tail is wagging the dog; people are trying to find medical applications for cool technology. To me it makes more sense to identify a clinically relevant problem and then look at what tools may provide a practical solution. Maybe Glass will be that solution for some problems in the future, but I will wait until It’s worth adding yet another medical device into my medical practice. Next post > What does it mean to be a doctor and a patient?